We are passionate in helping humans and bees live as naturally as possible in our urban jungle. In addition to our volunteer programs in the community with various organizations on beekeeping and gardening, we offer customized beekeeping services to interested clients. 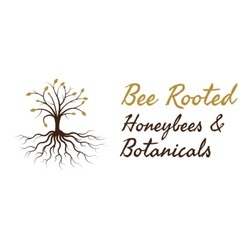 ​Bee Rooted supplies and manages honey bees for homeowners, schools, businesses, and parks in the Cucamonga Valley and surrounding areas under the "Hive Hosting" program. Opportunity to observe honey bees with their flight schools, mating dances, and more. Maintenance contracts for a year cover the cost of the hive and the maintenance required during the length of the contract. If desired, this time allows me to instruct the hive owner on beekeeping. The contract covers regular maintenance inspections, response time to emergencies, and responding to questions. We do not use any chemicals and we use foundation-less frames (free of plastic). We want to encourage the best health of the bees and bee products. ​To find out more about hosting hives, please read our Hive Hosting Application page for farms, homeowners, schools, parks and businesses. Please contact us directly to discuss hive hosting on your property as we offer special pricing and opportunities for organic farms.